News of the deal comes after early reports that Fox proper was looking to unload 21st Century Fox in favor of focusing more on news and sports, its two other largest business endeavors. For Fox, this deal means a rather hefty payday but for Marvel, it’s more of a long-overdue homecoming. For years now, some of Marvel Entertainment’s most iconic characters that first put the comics publisher on the map back in the 70s have been locked out of the MCU because of deals made during the 90s in which Marvel sold off the film rights to properties like the X-Men, the Fantastic Four, and Deadpool. Now, Marvel can get to work on changing that, but it doesn’t mean that it will or even should happen anytime soon. Properties like Avatar, The Simpsons, FX Networks and National Geographic will also fold into Disney’s portfolio according to the official release. While Fox’s X-Men and Fantastic Four movies weren’t always particularly good, the studio was finally in the process of beginning to carve out a rather distinctive and honestly refreshing voice in the superhero movie space with films like Logan, Deadpool, and The New Mutants. The sequels to the latter two movies are still due to be released on schedule (no word on the X-23-focused Logan followup) but there’s no telling what Marvel plans to do with its new toys now that it has them. 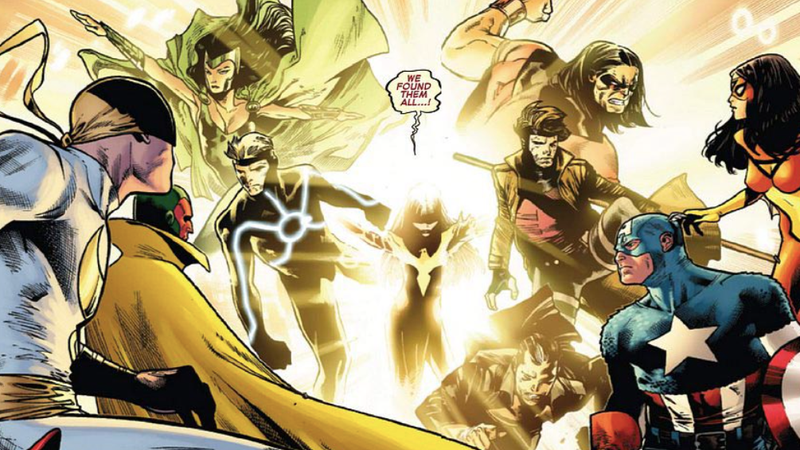 Given how far along the MCU is at this point, the most obvious choice would be for the universes to remain separate as they build towards a version of the second Secret Wars with a little Avengers vs. X-Men thrown in for flavor, but who knows? Before we all get our hopes up about the next massive developments in the MCU, however, there are still significant questions about the deal’s larger regulatory implications. With its potential acquisition of 21st Century Fox, Disney would effectively be destroying one of the six major Hollywood film studios, something that’s sure to draw the attention of antitrust regulators. Questions are also being raised about what it would mean for Disney to take on all of Fox’s other 21st Century assets, like its stake in Hulu and the 61% of Sky UK that it didn’t already own. Previous to this deal’s announcement, Fox was already in the process of having its own $15 billion proposal to take full control over the UK telecommunications giant reviewed by British regulators who were concerned about the company being entirely controlled by the Murdoch media empire. Chairman and CEO of Disney, Robert A. Iger, will remain through at least 2021. He said, “The acquisition of this stellar collection of businesses from 21st Century Fox reflects the increasing consumer demand for a rich diversity of entertainment experiences that are more compelling, accessible and convenient than ever before.” But the question remains: Will there be a “rich diversity of entertainment experiences” if only one company is making them? What&apos;s Behind Marvel&apos;s Campaign To Remove The X-Men From Merchandising?